OPPO K3 mobile phone comes with a 6.43 inches full-screen OLED display screen. It is powered by a Qualcomm Snapdragon 710 and there is an Adreno 616 GPU to support the graphics performance. It comes with the option of 4GB RAM & 128 GB internal storage. Talking about the photography, OPPO K3 features a 21+2 MP dual rear camera and a 25 MP selfie camera. This device is powered by a 3800mAh battery and runs on ColorOS 5.2 (based on Android 8.1.0) out of the box. Talking About Other Features, OPPO K3 supports Screen Fingerprint, Fast Charging, and AI Camera. 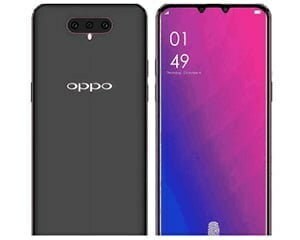 OPPO K3 is expected to be released in China on the first half of 2019 and will be priced at around $400 there. We don’t have official confirmation on its global release.